I started off by applying one coat of Orly nail Defense waited 5 minutes and applied one coat of Orly bonder. Then applied two coats of Elf white ( If the white is very opaque one coat will do). Next I applied a tape to my nail. Make sure you position the tip properly to enable you create the desired V shape. Then I painted the entire nail black. 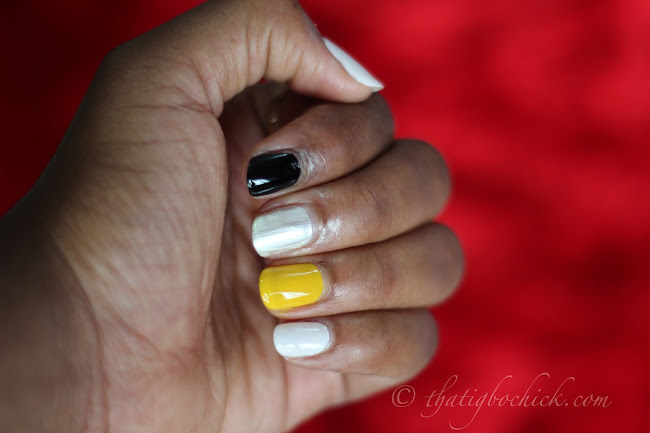 Once you've covered the entire nail with black polish, peel the tape off Immediately. 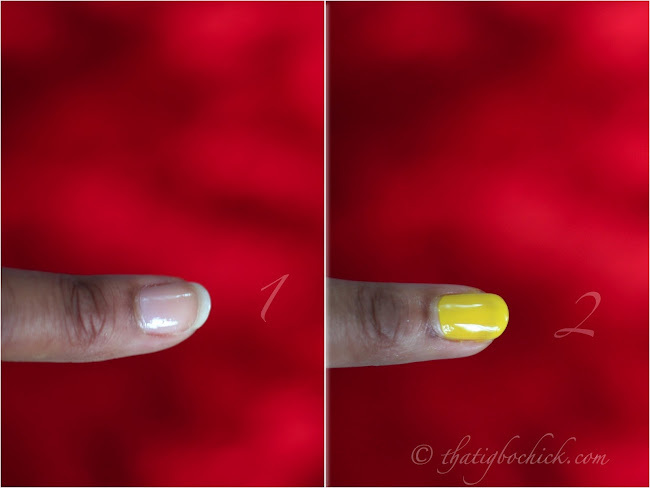 Wait 5 minutes and apply a fast drying top coat. I applied one coat of Orly nail Defense waited 5 minutes and applied one coat of Orly bonder. Next I applied two coats of Barry M nail polish in yellow. I finished by applying one coat of Seche vite fast drying top coat. 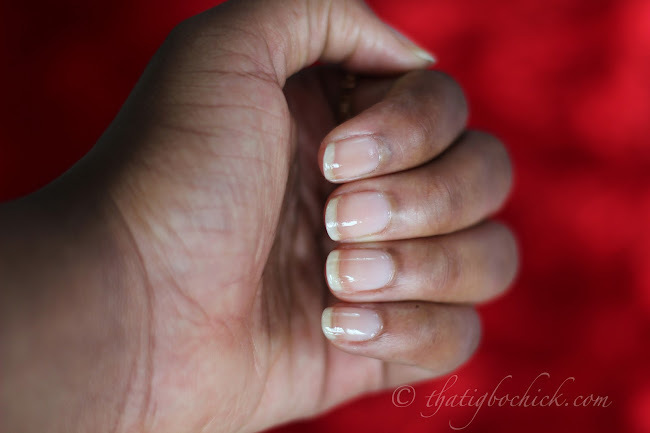 I started by applying one coat of Orly nail Defense waited 5 minutes and applied one coat of Orly bonder. Then I applied One coat of Jordana nail polish in silver. Next I applied three coats of Jordana nail polish in Silver glitter. I finished off by applying one coat of Seche vite fast drying top coat. Then I applied two coats of sleek nail polish in Eclipse. Next with a bobby pin dipped into Elf nail polish in white, I applied four vertical dots. Then I finished by applying one coat of Seche vite fast drying top coat. Next I applied two coats of Elf nail polish in white. Then I finished off by applying one coat of Seche vite fast drying top coat. 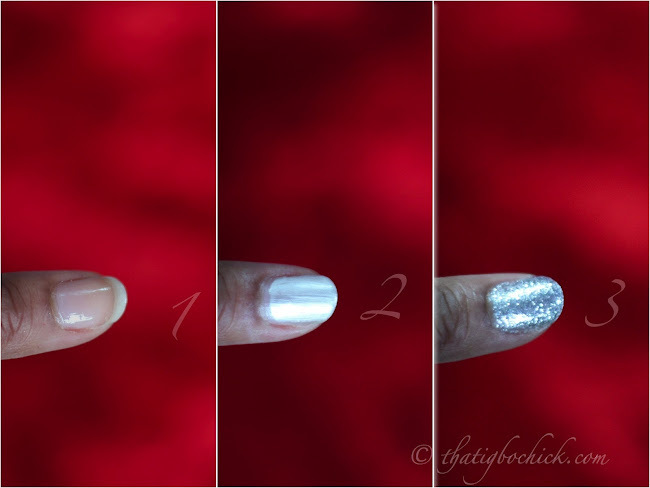 Jordana - silver glitter, seche vite fast drying top coat. Nice one :) Gotta try it out. And lovely Bible verse!